The grades are in, and we have received a nice fat F. And F means we have failed to learn that our kids are valuable and their education is of paramount importance. Will we ever learn? 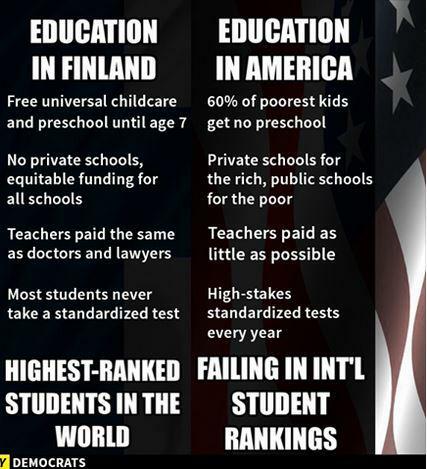 When will we begin to put a higher priority on education than we do on profit? This entry was posted in Facts & Statistics, Hunger & Poverty, News & Views and tagged education, equitable funding, failure, Finland, greed, poor, preschool, priority, private schools, profit, rich, standardized testing, students, teachers, US on June 11, 2015 by Ray Buchanan.